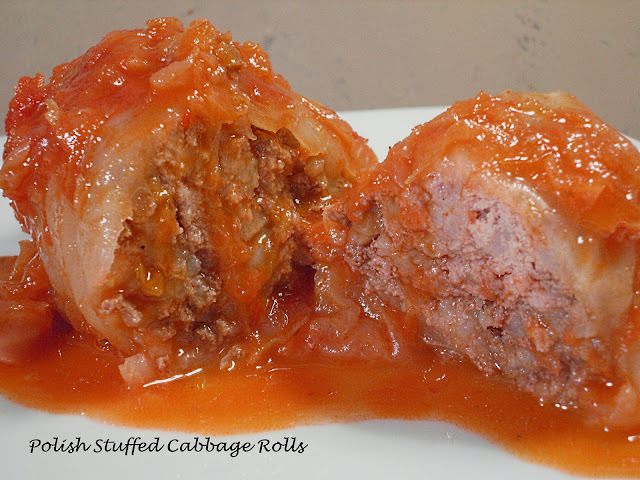 I grew up with my mother making this dish on "no meat" Fridays' during Lent. We would have these crispy-on-the-outside, tender-on-the-inside pancakes with chilled applesauce. They make a delicious appetizer. A beloved standby at Hanukkah. With the large holes of a box grater, shred the potatoes and onion into a large mixing bowl. Squeeze some lemon juice on the potatoes to prevent oxidation and toss well. 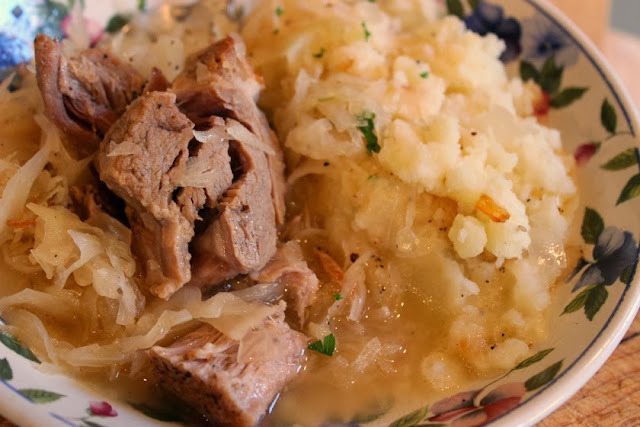 Take a handful of the potato-onion mixture and squeeze out as much liquid as possible. In another bowl, stir together the flour, milk, egg, baking powder and nutmeg. Stir batter into the potatoes and add the melted butter. Heat a large, heavy skillet over medium-high heat. Add an even film of light oil, about 1/4" deep into skillet. When oil is hot, form pancakes about 1 heaping tablespoon and add to skillet, spreading out and smoothing the top surface with the back of the spoon. Cook about 3 mins. per side until golden brown. Place on absorbent paper towel until ready to serve. Serve pancakes as a side dish or an appetizer with your choice of chilled applesauce and/or sour cream. This can also be a vegetarian main course. Yum! I am always looking for lent recipes! Oh yes, these would be great for Lent as Veronica mentioned in her comment. I like your recipe a lot! I may not be a practicing Catholic. I plan on celebrating Lent this year with this recipe! 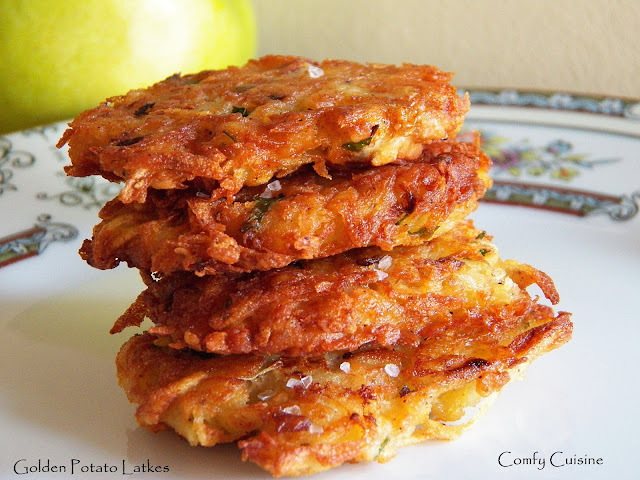 Beautiful latkes Patti! I love that you use yukon golds! 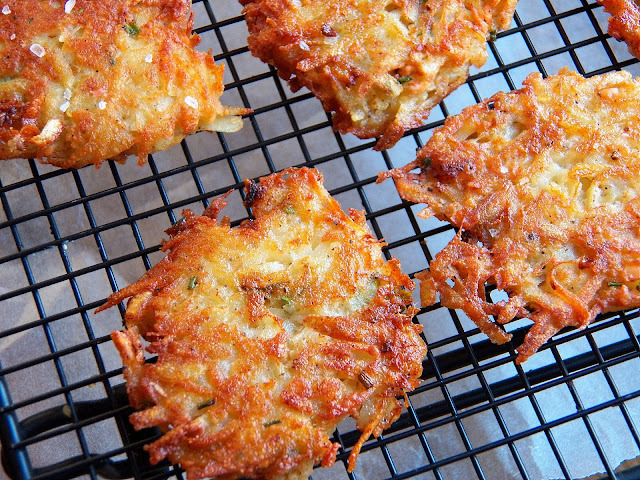 I'm finding they make better latkes than good 'ol russets!